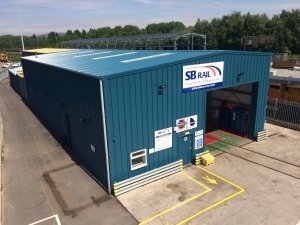 The 7th of June marked the conclusion of the latest round of improvement works at SB Rail’s Guide Bridge depot in Manchester. 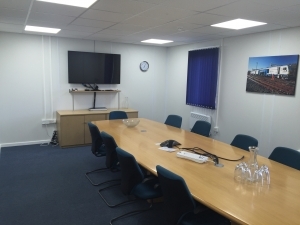 Having successfully completed a series of improvements to its workshop facilities in 2013, the JV partners decided it was time to upgrade the extremely well worn offices at this strategically important location. 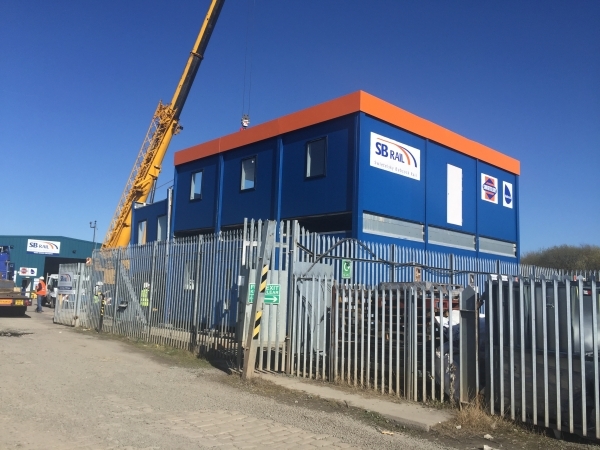 The redevelopment work included stripping out and removing the old office cabins and replacing these with a much larger two story purpose built facility. The new accommodation comprises: a reception area, separate office spaces for SB Rail’s OTM and Crane staff, large and small meeting rooms equipped with video conferencing, a dedicated training room and kitchen/dining area. “The new offices at Guide bridge are already enabling us to work more efficiently, with dedicated training space on site and video conferencing we are reducing journeys, saving time, and fully equipped with the latest energy saving measures, the new building is far more sustainable”.